When you hear the RCA name, immediately you think of quality built, affordable kitchen products. Well the folks at RCA are at it again. 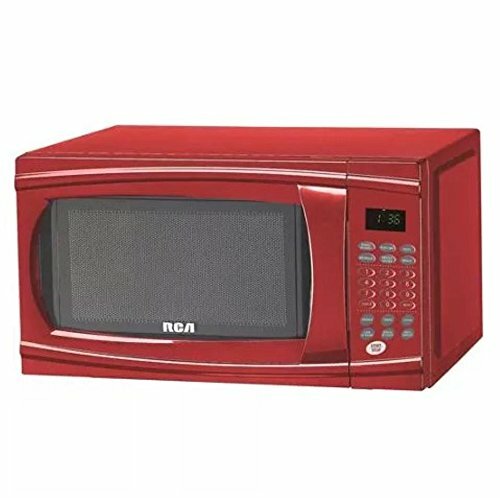 Introducing the RCA1112, 1.1 CU FT. Microwave! Are you looking for a microwave for your new place? This microwave has 1000 watts and 10 power levels. It’s extremely easy to use and with the electronic touchpad and the glass turntable it looks and functions more than it should cost. You will also never have to worry about your kids trying to play with it as RCA added a child lock feature. All this from the makers at RCA, the #1 leader in microwaves!.